September had awoken the events heart of Melbourne. With Spring in full swing, October brings a month dedicated especially to the arts and music. Join in the celebration of the best international and local artists through Melbourne Festival and NICA's contemporary circus acts; experience a broad spectrum of music from the Darebin Music Feast, Soulfest and China's Jiangsu Province; and witness the marriage of art and fashion by acclaimed fashion designer Jean Paul Gautier. Then spice up the rest of the month with the best of Italy's films; race around the city for fun and a good cause; and add a little sweetness to your weekend with the nation's biggest baking show. Whatever you choose, make your October in the world's most liveable city the best ever with these top picks of not-to-be-missed events. Lavazza Italian Film Festival returns to Melbourne to thrill fans of cinema Italiano, the local Italian community and movie goers. 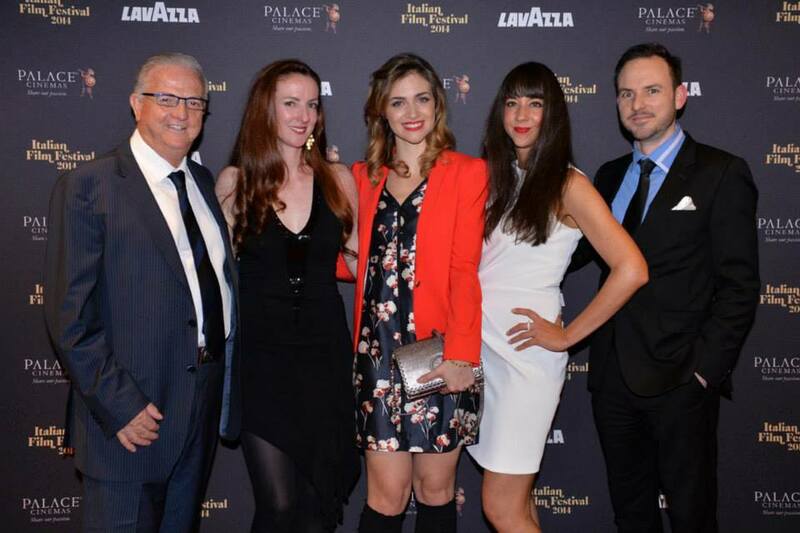 Festival Director Elysia Zeccola-Hill has curated a line up of 35 show-stopping new features and documentaries and one glamorous classic from Italy to share with local fans, movie goers and the Italian community. She also brought Italian screen goddess, Nadir Caselli to open the Festival. In addition to Melbourne, the Festival will also tour Sydney, Perth, Fremantle, Brisbane, Bryon Bay, Adelaide and Hobart. Make a date with the best of Italian cinema in the various Palace Cinemas before the Festival ends on 12 October. For more information on the schedule, check out the Festival website. The National Institute of Circus Arts (NICA) is renowned for contemporary circus performances delivered by its students in collaboration with international and local guest directors. It also host popular festivals, master-classes, and youth and community activities. 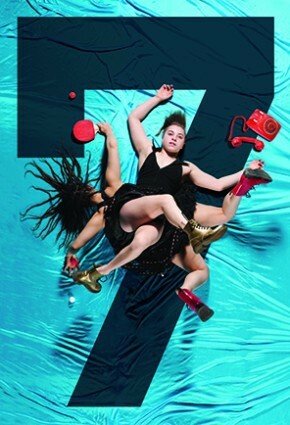 For the 2014 Melbourne Fringe Festival, NICA's 2nd year students have curated an exciting performance at custom built National Circus Centre in Prahran from 1 to 4 October. Calling all foodies, home bakers and cake decorators! The nation's biggest event dedicated to everything baking is back in town. Just think Good Food & Wine Show but with loads of delicious baked treats. This year's Cake Bake & Sweets Show promises a jam-packed schedule of international and local celebrity chefs, live demonstrations, hands-on workshops and classes. 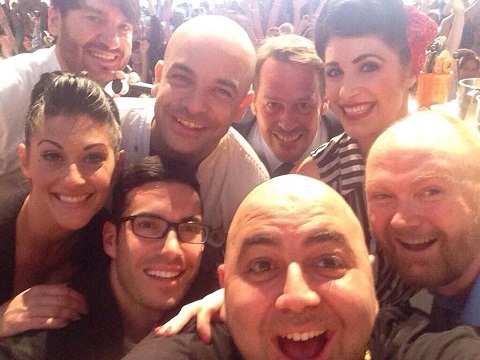 Some crowd favourites include master patissier Adriano Zumbo, US cake boss Buddy Valestro, New Zealand's cake artist Leslea Matsis, dessert master Pierrick Boyer and many others. Don't forget the exhibitors offering tasty treats, baking equipment and sugar craft supplies. Daily tickets and 3-day passes can be purchased online or at the door. Cost: Adult $29 / Concession $25 / Child 12 - 17 years $23 (at the show). Discounted prices online. Make your way to the Northern suburbs of Melbourne as the much-anticipated music festival brings local artists and audiences together in Darebin. From 8 to 19 October, the community will be taking the streets and filling the various music venues to support local performers and celebrate songwriting and music. We're counting over 100 events in various Preston, Reservoir, Westgarth, Northcote and Thornbury venues, 30 FREE events in The Bain Marie festival hub bar, more than 20 FREE industry development sessions, and lots more performances at the 3 buskers and community stages around Darebin. 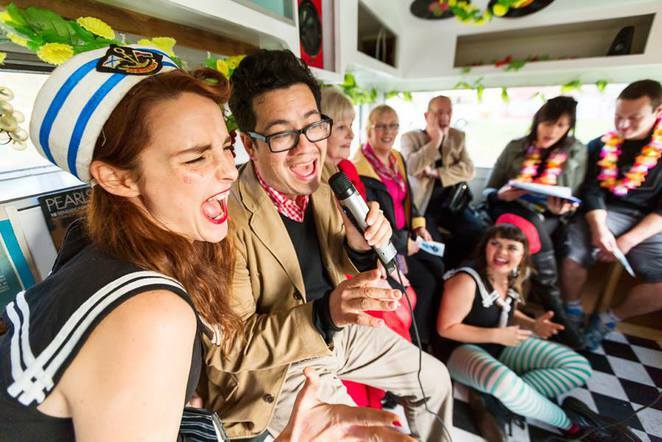 Some highlights include Mojo Juju, Pugsley Brunswick Women's Choir, Buzzard, The Wilson Pickers, High Street Bells Choir, Orkeztra Glasso Bashalde, Bohemian Nights and many more. Visit the Darebin Music Feast website to check out the details programme. One of the world's leading arts festivals and celebration of art and culture from around the world here in Australia is undoubtedly the Melbourne Festival. It is another reason why the world's most liveable city is also the nation's best place for art. From 10 to 26 October, you can enjoy a cornucopia of FREE and ticketed theatre, music, dance, circus, visual arts, film, talks, masterclasses and outdoor events right here in Melbourne. Many of these events debut and premiere at the festival so you won't get the see them anywhere else in Australia. For more information on the schedule and prices, phone: 03 9662 4242 or visit the website. Organised by the Montreal Museum of Fine Arts in collaboration with Maison Jean Paul Gaultier, this much anticipated exhibition finally arrives in Melbourne. The show has already gone around the world including Montréal, San Francisco, Madrid, Rotterdam, Stockholm, New York and London and wowed over a million visitors. The haute couture and prêt‐à‐porter ensembles designed by this French couturier between 1970 and 2013 will be presented through a multimedia platform that includes stage costumes, fashion shows, sketches, archives, concerts, film footage, videoclips, dance and even television show. 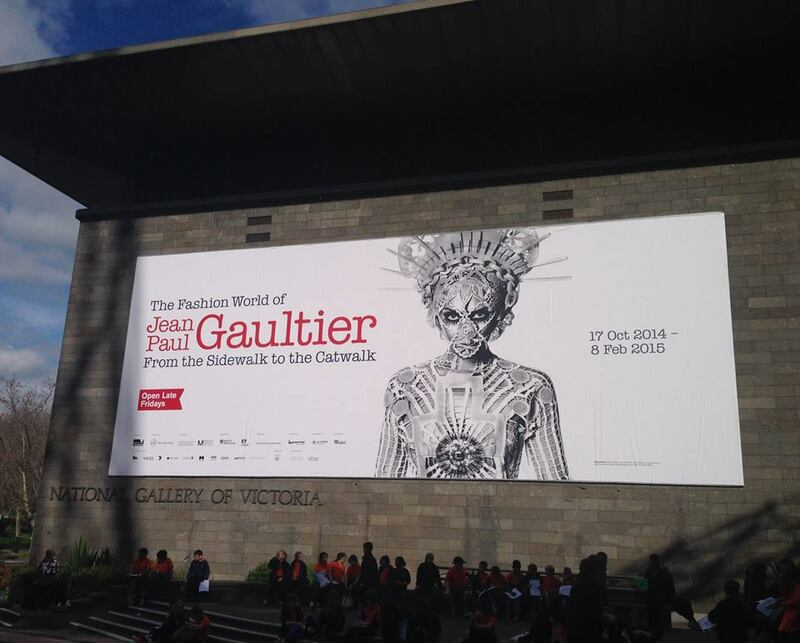 The National Gallery of Victoria will be the only Australian venue for this rare exhibition where all of Jean Paul Gaultier's creativity, theatricality and originality will be on display. Visit the website or phone: 03 8620 2222 for more information. Australia's first ever Neo Soul, Hip Hop and Jazz Festival will be touring Sydney, Brisbane and Auckland in addition to Melbourne. Demand for this event has ballooned to the point that the original Yarra Park venue had to be upsized to the Sidney Myer Music Bowl. 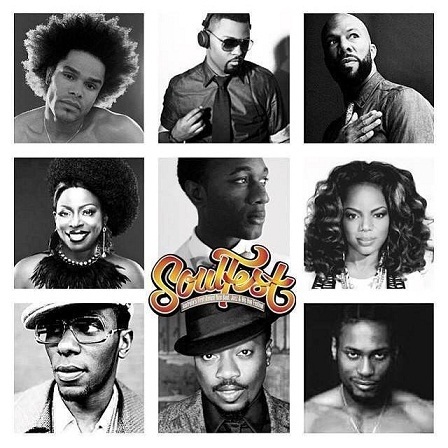 Featuring 2 stages, you can enjoy live performances by some of the most popular international and local artists in their genre including Maxwell, D'Angelo, Aloe Blacc, Common, Yasiin Bey aka Mos Def, Anthony Hamilton, Angie Stone, Musiq Soulchild and many more. We're talking 20 live acts and DJs over the course of the 10 hour festival. With tickets selling out like popsicles on a hot summer's day, make sure you grab yours at the website before they are all gone. If your kids are lamenting the passing of September school holidays fun around Melbourne and Central Geelong, you can still put some excitement back into their October. Melbourne Museum invites you and your family to celebrate Universal Children's Day and its annual Children's Week activity on 22 October. The Museum's Romp and Stomp Fun Day for children offers lots of activities including live music, storytelling, art and craft and dress-ups from 10am to 3pm. 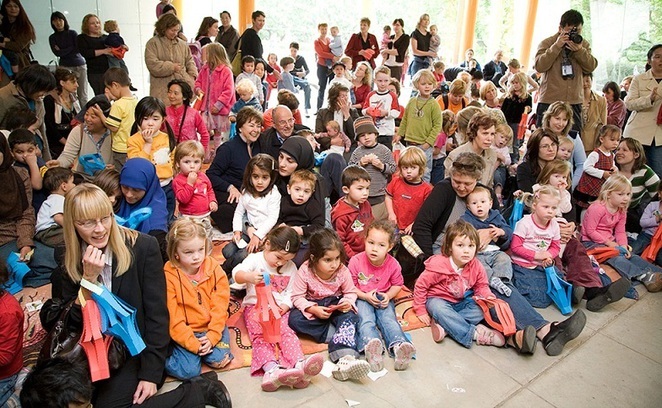 Designed specially for kids between 0 to 5 years, the event also highlights the value of education, experience and diversity in early childhood development to parents. While parents have to pay $12 per adult, kids get to enjoy the event FREE. Museum Victoria Members also receive free museum entry. Phone: 13 11 02 for more information or to pre-purchase tickets. Fans of the Amazing Race reality show will be thrilled with the return of Melbourne's own 'Great Amazing Race' in October. Organised by Uplift Events, the public competition is more about having fun and raising funds to support the Royal Children's Hospital Foundation than winning a million dollars. The city's ultimate urban adventure race pits teams of 2 against others and the clock to complete a variety of mental and physical challenges at various landmarks and locations in Melbourne. Spaces are limited so visit the website or call 1300 875 438 today to find out more about how to register your team. 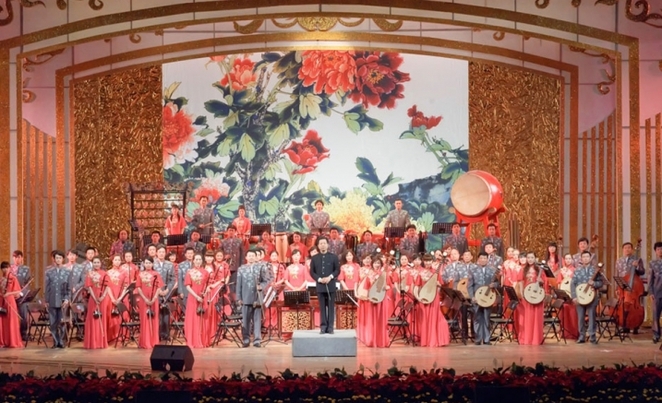 To celebrate 35 years of cultural ties between China's Jiangsu Province and sister-state Victoria, the Victorian Government, China's Jiangsu Provincial Government and the Jiangsu Performing Arts Group have come together to host a FREE concert featuring the Jiangsu Folk Music Orchestra on 27 October. Award winning soloists and performers of the orchestra will specially travel to Victoria for the one-night only performance. They will bring the music of Jiangnan, Guangdong and Northern China to the audience in Melbourne. It is a rare opportunity to experience the unique music and rich culture of Jiangsu Province. What better way for music lovers and residents to celebrate the end of October than with this 70 minutes concert by the internationally acclaimed Jiangsu Folk Music Orchestra at the Melbourne Recital Centre. While the concert is FREE, tickets are still required. Phone: 03 9699 3333 for more information or visit the website today to get your tickets before they run out.